The Ambassador of Saudi Arabia to Cameroon on September 23, 2016 highlighted key cooperation projects. The Ambassador of Saudi Arabia to Cameroon, Mohammed Bin Suliman Almussher used celebrations marking the 86th anniversary of the Saudi National Day in Yaounde to laud the 50 years of diplomatic relations and cooperation between Cameroon and Saudi Arabia. He said, diplomatic relations between the two countries were established in 1966. The Saudi government, he said, will intensify relations with Cameroon notably in the fight against terrorism which is the main obstacle to development and growth of the people. 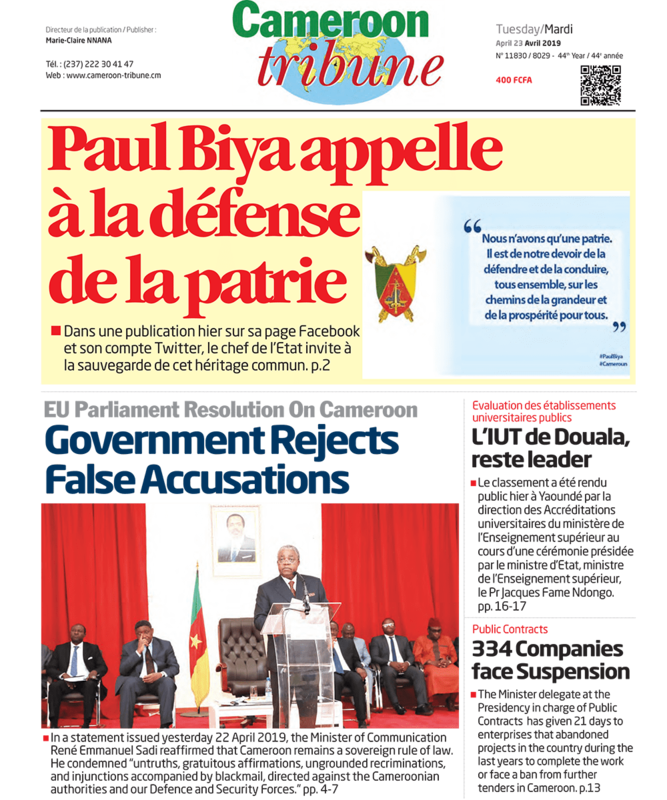 The ambassador used the occasion to congratulate Cameroonian army for the successes scored in fighting the terrorist group Boko Haram in the Far North Region under the supervision of President Paul Biya. He reiterated his country’s condemnation of terrorism and the support to Cameroon’s efforts in combating the cankerworm. Members of the visiting Saudi parliament who came to chart other areas of fostering cooperation with Cameroon participated in the celebration. Cameroon government officials and members of the diplomatic corps present, all listened to Mohammed Bin Suliman Almussher highlight key cooperation areas. He disclosed that 4,000 Cameroonians were among the over two million pilgrims who went for the Hajj in Saudi Arabia this year 2016. He said 25 Cameroonians were among the 2,400 pilgrims invited by the Saudi King. 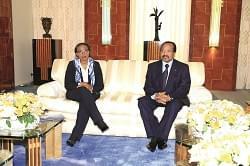 Saudi Arabia, he said, has always helped Cameroon during humanitarian crisis and natural disasters. He also singled out eight tons of medicine given Cameroon in 2011 and 2012 to fight against cholera, 205 tons of medical supplies in 2008 to assist flood victims and the surgical operation separating Cameroonian conjoined twins done at the King Abdul Aziz Medical Centre. 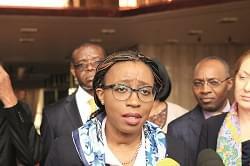 Cameroon has also benefitted from the financing of many infrastructure projects. In the domain of education, he said hundreds of Cameroonian studies were currently benefitting from scholarships to study in Saudi universities and other higher institutions of learning. Mohammed Bin Suliman Almussher announced that the building of the Saudi Embassy will soon be inaugurated in Yaounde. He said it will be the monument of the 50 years of cooperation and will open a new era between Yaounde and Riyad.